Drying filament is important, especially with some materials like Nylon that absorbs ambient moisture quite easily (PLA almost does not have this problem). With a non-dry filament you may get bubbles exploding at the nozzle (hint: hissing & steam! ), and this makes the layers very rough. Now, even if it has an arguable benefit for a better bonding with the subsequent layer, too much will make the part look ugly. But this is really the subject of another post in this blog. 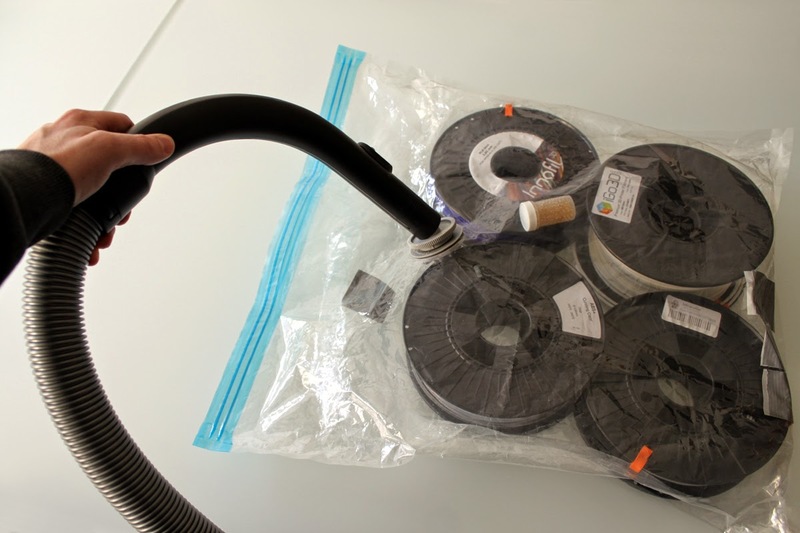 I seal my spools in a bag, together with some desiccant. The whole is put in the cardboard box, that I close with scotch tape. Unless the cardboard box itself is made waterproof, the idea is to have a "double sealed" box, so that only the moisture from the filament is absorbed, not that of the ambient air! Home made solar dehydrator. The bag inside with the trimmer line includes also some moisture absorber. I carved a tight hole in the cardboard box wall for the solar tube output, which is high enough on the wall to get a minimal slope (and better air flux inside the tube). Then, I leave it one day long outside during a sunny days:. As you can see, temperatures stay below 50°C, which is suitable also for PLA (a big dangerously high). Anyhow, it is well enough even for Nylon after I leave it for about one (mostly sunny) day. There are obviously other techniques and kinds to dry a filament, you can see more in my post about Nylon for example, or at 3Dprintingforbeginners (below). More realistic: with vacuum storage bags. Ref. 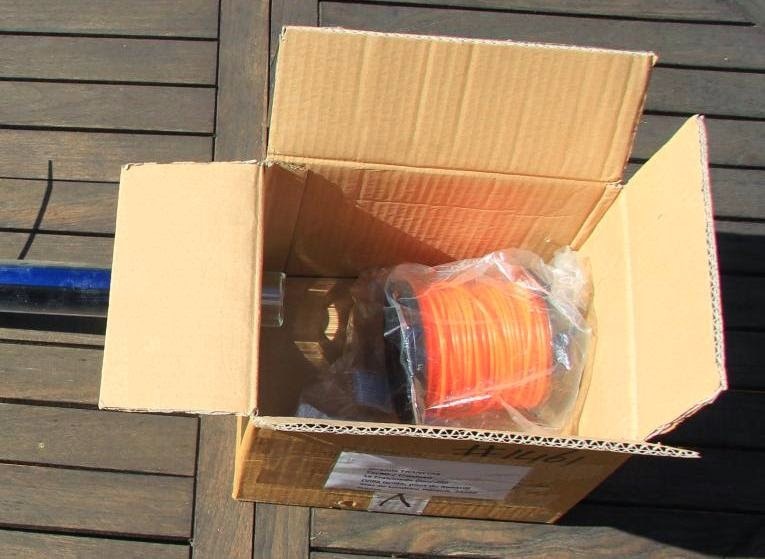 how to store 3D printing filament at 3dprintingforbeginners. I first used these small bags that come with electronic appliances, but then I switched to some heavier stuff. There are very convenient indicating silica gels, aka color-changing desiccants, that give an indication when they have absorbed too much moisture and they need to be dried themselves (infinitely re-usable). As I am color blind, I chose the "nasty" one: it is enriched with cobalt (it turns purple when moist). My motive was because the other easily available kind changes to a color I can hardly differentiate! By the way, "color blindness" is a real stupid name in English. We do see colors! But I just have harder times to tell or distinguish between two specific colors, according to lighting or fatigue. Think of it, just as "normal" people could not agree if a nice blue-green color is either blue or green, then I can't tell whether a "greenish red" is obviously green or red (one sensor is missing in between so that there is a shade from red to green for me). This is all about sensitivity (and no, I definitely do not see red as green and green as red: this would be simply not having learnt my colors properly at school!). Well printed dried Nylon trimmer line (230°C, 40mm/s, 0.2mm layers). Yeah, this one is quite orange - and I do read it.